Naming an Old Witney Favourite is not always simple. 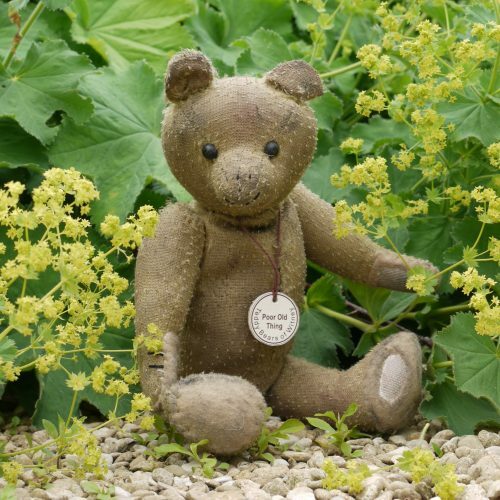 When Tracey first cast her eyes on the century-old original bear she exclaimed ‘poor old thing’! All agreed that we could not improve on her serendipity. He is made of old gold mohair, so extensively hand-plucked that he is almost bald, with aged black glass eyes and patched felt paw pads. Filled with polyfibre and weighted with plastic pellets.